This is a Re-announcement of Ann#: 18-S099. Previous applicants who applied on Ann#: 18-S095 will need to reapply on this announcement to be considered. This is a Child Support Services position located in Midwest City, Oklahoma. This position may be filled at a higher level of the job family, depending upon the qualifications of the recommended applicant. Positions in this job family are assigned responsibilities in initiating and processing child support enforcement cases. This job family consists of four levels of work that are distinguished by the level of complexity of job duties assigned and for the responsibility of the leadership of others. This is the basic level where employees perform beginning level child support casework in processing cases through location, case development, initial notice to non-custodial parents regarding obligation and child support enforcement involvement; drafts routine payment plans of support obligations and debts. Responsibilities may also include preparation of simple child support arrearages, assisting in the update of child support account balances and/or performing routine locate work by means of the computer in order to develop enforcement cases and other activities which require only basic knowledge and skills in child support casework. 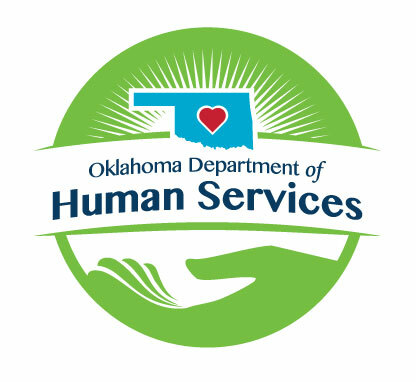 At this level employees provide full-performance child support services to children and custodial parents of Oklahoma and all other states and territories and perform investigations requiring both broad and specialized knowledge of all child support services. Employees assigned to positions at this level will have greater independence and discretion in negotiating settlements and making decisions that will work toward resolution of child support case problems. Responsibilities may also include serving as a resource for other child support specialists, participating in policy development affecting an area or small office and/or interpreting casework policy in unusual situations. Education and Experiencerequirements at this level consist of a bachelor’s degree; or an equivalent combination of education and experience, substituting one year of professional child support enforcement, accounting, or social work for each year of the required education; or completion of an associate’s degree in Legal Assistance or a closely related program of paralegal education; or an associate’s degree in Public Service – Legal Case Management; or completion of an American Bar Association approved paralegal education program. Education and Experiencerequirements at this level consist of a bachelor’s degree and one year of professional experience in child support enforcement, accounting, or social work; or a master’s degree; or a juris doctorate degree; or an associate’s degree in Legal Assistance or a closely related program of paralegal education and two years of qualifying experience; or an associate’s degree in Public Service – Legal Case Management andd two years of qualifing experience; or completion of an American Bar Association approved paralegal education program and two years of qualifying experience; or an equivalent combination of education and experience, substituting one additional year of qualifying experience for each year of the required bachelor’s degree.